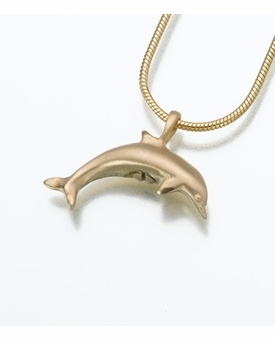 14kt Gold Dolphin Cremation Jewelry pieces are finely crafted by hand and each has a small compartment to hold ashes (cremains). 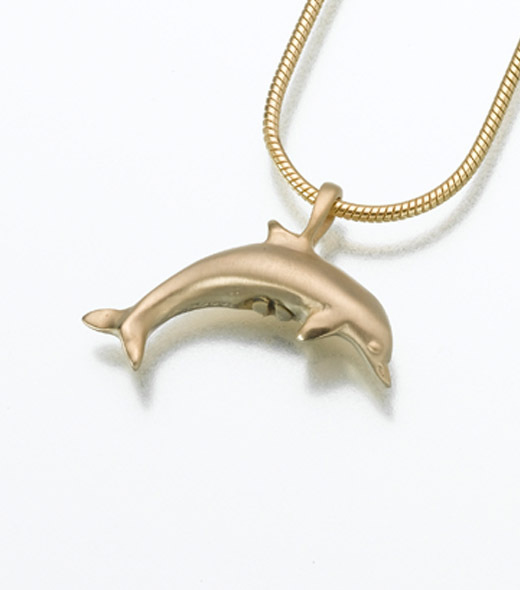 Memorial urn jewelry a.k.a. "cremation jewelry", allow wearers to discretely take a small portion of ashes, a lock of hair or other remembrance with them wherever they go.